Pour epoxy terrazzo in new addition of casino. 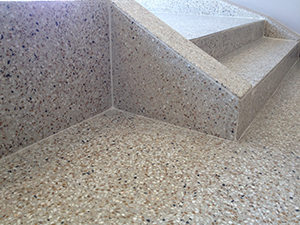 The existing terrazzo needed to be chipped back. We poured new epoxy terrazzo in the construction area and blended it into the existing floor so that the area looked original. All work was performed during normal business hours. Protocols were taken to keep dust contained, noise levels low and to insure safety of the customers.